The fourth annual Jazz & Friends National Day of School and Community Readings is rapidly approaching. On February 28th, teachers, parents and allies across the country will come together in support of transgender and non-binary youth for this incredible event, sponsored by HRC Foundation’s Welcoming Schools and the National Education Association (NEA). Welcoming Schools and the NEA hope you’ll be among them. Events will be taking place all over the country. If you’re looking for a reading in your area, check out this interactive map. Can’t find one? Become a host. Hosting a reading is a powerful way to show up for the transgender and non-binary youth in your community. It’s also incredibly easy. Sign up here, and you’ll receive a Jazz & Friends Organizing Kit with everything you need to host a successful event, including a step-by-step guide, tips, discussion questions and ways to promote your reading. Your event can take place anywhere—a school, library, community center or your own home. Kirk Nichols, a longtime teacher and friend of the Welcoming Schools program, read the book to his Zumba class! This year, you have the option of reading one of three books (or even better—read them all!). 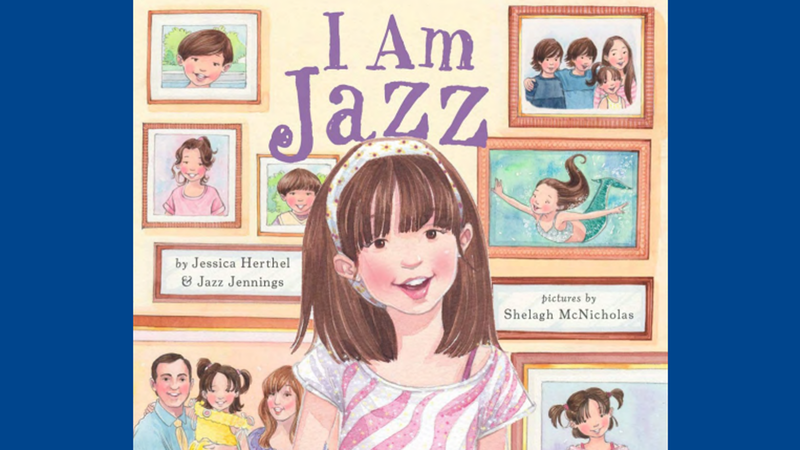 As always, you can read and discuss the book that started it all --I Am Jazz by transgender trailblazer and former HRC Youth Ambassador Jazz Jennings. You can also opt to read one of our new featured books: Julián Is a Mermaid by Jessica Love or They She He Me: Free to Be! by Maya and Matthew Smith-Gonzalez. These selections are included to highlight non-binary identities and characters and authors of color. The benefits of a reading are many. Through hosting an event on February 28th, you provide young people with the opportunity to engage in stories that relates to their experiences and lives, increase the understanding of the community around transgender and non-binary identities, and show children with marginalized identities that they are seen, affirmed and loved. It’s a win for everyone.